Our eagerly awaited academy will return on Sunday next for Boys & Girls at U8s and U10s at 11am on our main pitch. We look forward to meeting you all again. and Sunday 31st March for our U6 Boys and Girls: at 11.00am in our main pitch. This year our Sunday Academy will run every Sunday morning without a break until October. 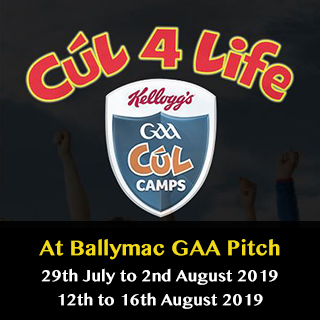 We are looking forward to seeing all our future stars back with us in Ballymac GAA!! 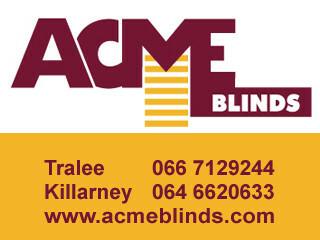 Both games scheduled for last Saturday in Division 1 and 3 of The Tralee Board League were unable to be played due to poor weather conditions. The much awaited Lee Strand County League Fixtures for our U12 are made and the competition will start on Sunday 7th April at 7pm. Our Blue team play in Divion1A and the other teams in that Division are: Kenmare, Austin Stacks, Laune Rangers and Dr. Crokes. We play our first game at home V Laune Rangers. Kenmare, Austin Stacks, Laune Rangers and Dr. Crokes. We play our first game at home V Laune Rangers. 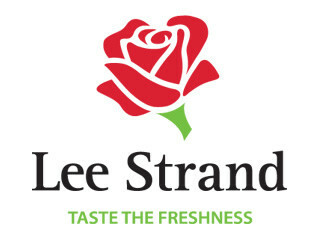 Our U14 Blue team play in Division 3 of The Lee Strand and the other teams in that Division are: Ardfert, Castlegregory, Beaufort, Firies & Legion. We play our first game at home V Beaufort on Wednesday 3rd April at 7pm. Our U14 Gold team play in Division 9 of The Lee Strand and the other teams in that Division are: Austin Stacks, Milltown/Castlemaine, Laune rangers, Killarney Legion, Keel/Listry, Firies & Dr Crokes. 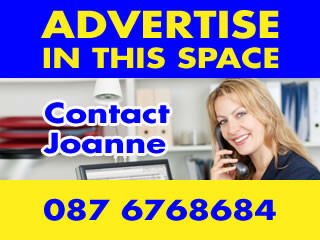 We play our first game at home V Laune Rangers on Wednesday 3rd April at 7pm. The other teams in that Division are: Ardfert. Austin Stacks, Castlegregory, Laune Rangers & Na Gaeil. 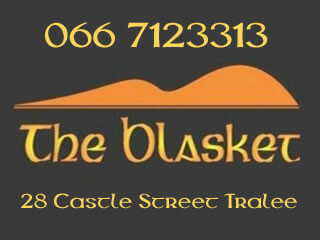 We play our first game away V Laune Rangers on Monday 1st April at 6.30pm. On Monday 25th March a Workshop will take place for Coaches working with U 6 and U 8 Teams. This session will take place in Tralee CBS Secondary School at 7.30pm. This session would also benefit coaches working with U 10 teams. This is going to be a practical workshop and will focus on Games and Activities to help develop and improve all the skills for these age groups. This is a good opportunity for Coaches to add to their existing knowledge and we would encourage clubs to attend. The cost of the workshop is 5 euros per coach. The club will refund the cost to the coaches who attend. 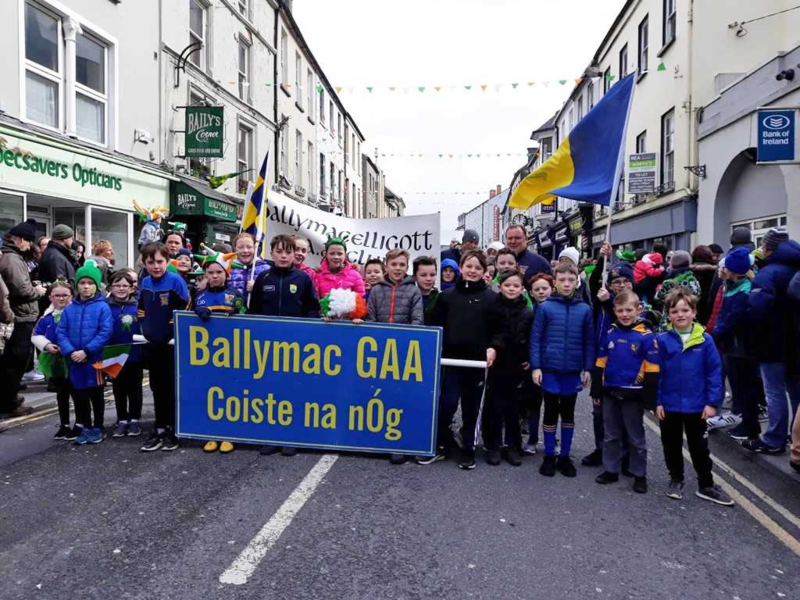 Ballymac GAA have taken part in the St Patrick’s Day Parade in Tralee for many years. It has now become an Annual event for children, mentors and parents. Last Sunday we had a good turnout for the Parade on a cold morning but a very dry morning. The kids were having a blast singing from start to finish and getting the crowds approval with all the clapping. The interaction with the crowd and the “well done’s” coming from the crowd meant a lot to the children. 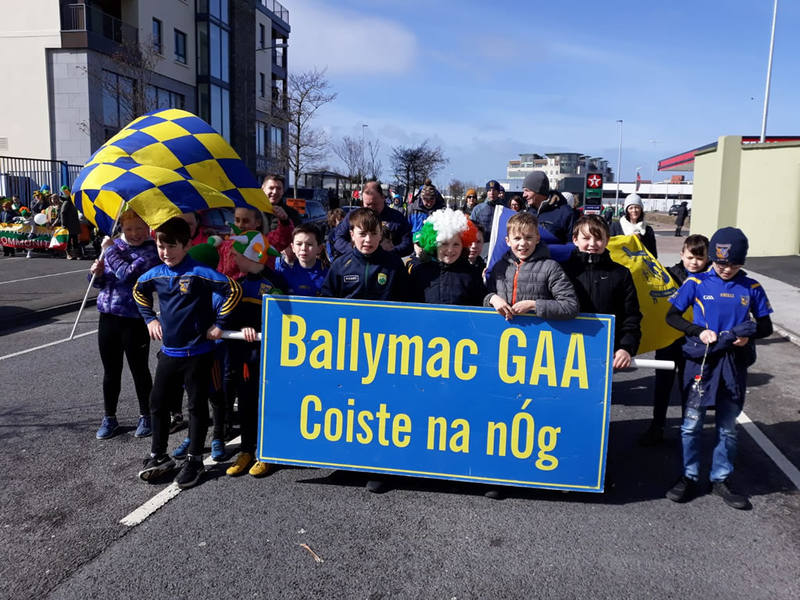 Thanks to all the kids and parents who marched with Ballymac and showed pride in our club and wearing our club colours of Blue and Gold. Ballymac Abú! Our Club Children’s Officer Joanne Long has organised a second Child Welfare Course for those who have yet to complete this course. It will be held in our Club Rooms on Wednesday 3rd April at 7pm. 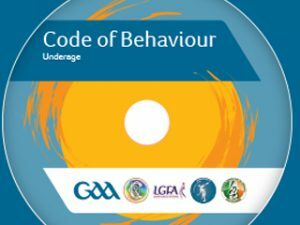 Its for all club coaches and administrators dealing with underage players and teams : Secretaries and PROS etc This COURSE IS MANDATORY for everyone involved in coaching children. Anyone involved with children in our club who has not already done this course over the past three years needs to attend.